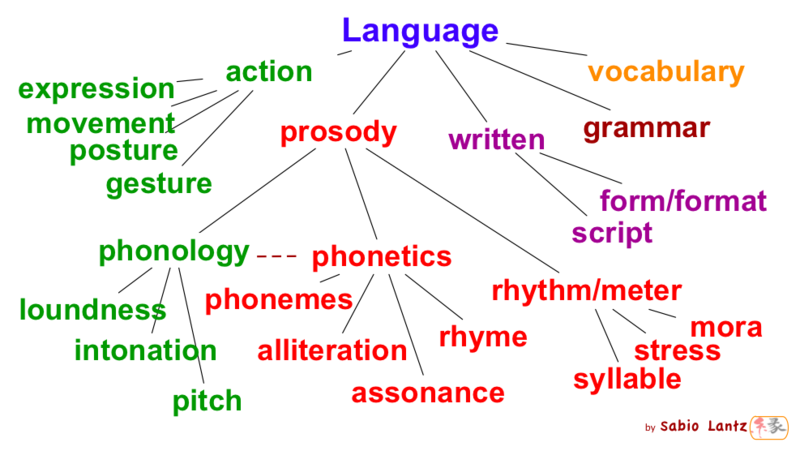 In my diagram above, I have made an attempt to illustrate some of the main components of language. The action and phonology aspects of language are fantastic at communicating feeling and emotion. Written poetry, not using these two parts of language, is handicapped and poets must rely on style, rhythm and phonetics to try a make up for that loss but are inevitably susceptible to a larger degree of subjectivity — something poetry readers can deeply enjoy. Depending on its use, however, subjectivity is both a weakness and a strength in poetry. Is there any important aspects missing from my taxonomy? How do you feel about subjectivity? Where would you squeeze in facial expressions in that diagram? hmmmm, I originally had “expression” in my diagram but figured “gestures” captured that. Maybe I should put it back. Wow, Sabio…I’m in awe of your brilliance. I love trying to classify things but couldn’t have begun to accomplish what you have. I assume you also enjoy linguistics! the face is part of the body, no? So body-language would cover it. If that is what you mean by movement and posture. I can’t see objectivity take part in poetry. BTW, I used my first molossus yesterday. Had never heard of it before I came across your diagram. Nice topic. 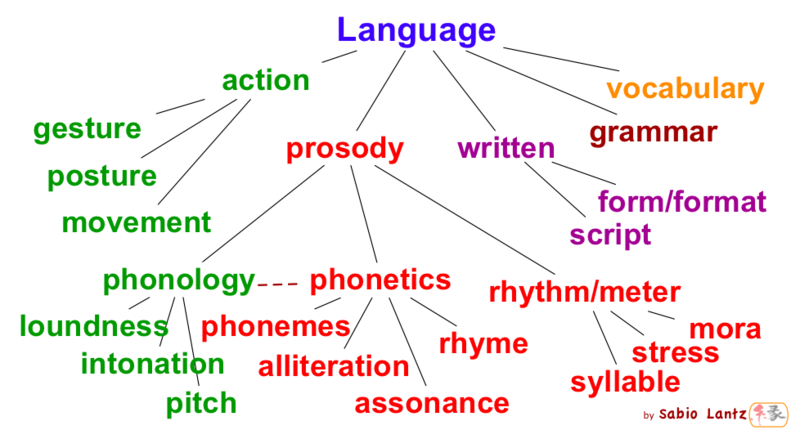 Intonation is for me the most influential part of language. Pity not more people go to the trouble of putting up a reading of their poems for us. I have no idea about poetry. I am reading a book to learn more about it. it is nice to learn new things with you too and share the love for poetry. My little poems are very general. I call them mother poems. May be that is not good but I like writing them and re writing them.